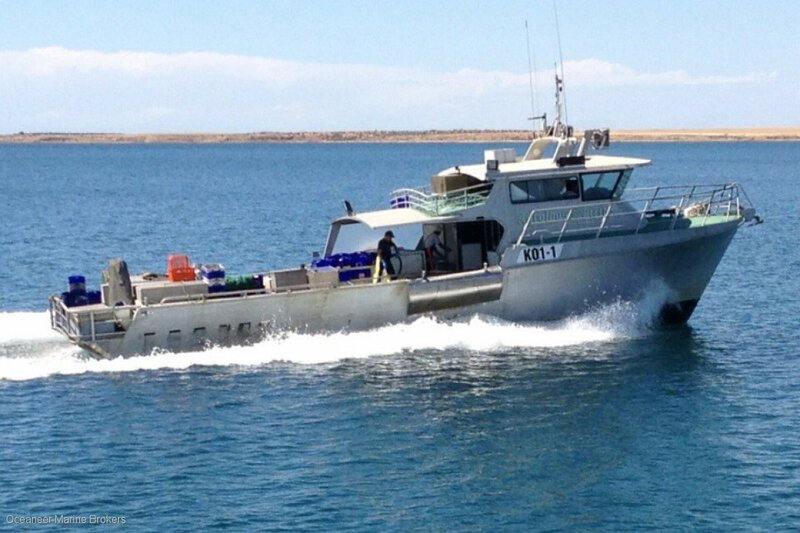 Southerly Designs, Geraldton Boat Builders 2001 launched fishing vessel. Currently located in South Australia in AMSA 3C Survey. This vessel was originally built to AMSA 3B survey standards. Powered with a very healthy Doosan V12 diesel with only 9000 hours from new and accompanied with new Isuzu genset in 2015. Southerly/GBB vessels are renown for strong seakeeping ability in which this vessel built with raised wheelhouse is no exception. Please call Oceaneer Marine Brokers for more details on (08) 9243 6373 or email sales@oceaneermarine. Com. Au.